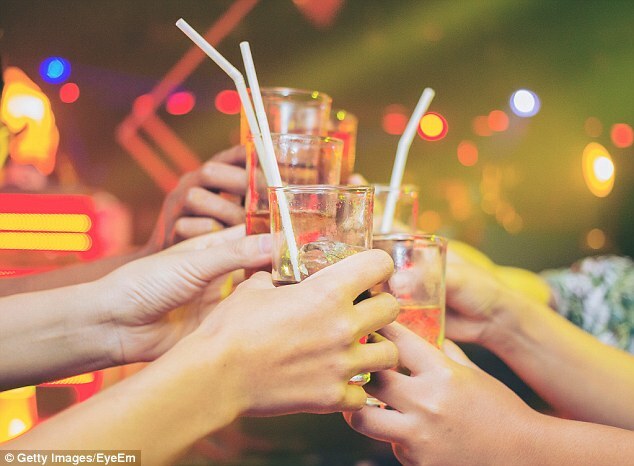 Plastic drinking straws will be outlawed across the country, the Daily Mail can reveal. Environment Secretary Michael Gove is set to announce a ban within months in a bid to stop the huge environmental damage the straws cause. 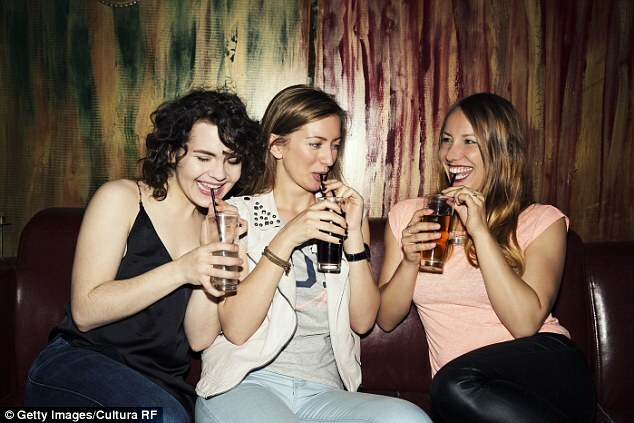 It would force bars, pubs and restaurants to use biodegradable alternatives such as straws made from paper. The move is a major victory for the Daily Mail’s Turn the Tide on Plastic campaign. There are no official figures for how many straws are used and thrown away in Britain, but a recent study estimated 8.5million plastic ones end up in the bin every year. Each one can take 500 years or more to break down. Environmental groups warn that the straws are ingested by wildlife and end up in the food chain. Campaigners say plastic straws are consistently in the top ten list of debris picked up in environmental clean-up operations. It is understood officials at the Department for Environment, Food and Rural Affairs (Defra) have been working on the details of a ban, which is likely to be announced within months. Questions were raised over whether the move was compatible with EU single market rules, but it is understood they are not regarded as a significant obstacle. The ban – which could come into force as soon as this year – would apply to England but not Scotland and Wales, because environmental issues are devolved. Shocking scenes in Sir David Attenborough’s wildlife documentary Blue Planet II helped to bring the issue of environmental damage caused by plastic to the fore. The BBC programme – watched by nearly 11million viewers – featured a pilot whale carrying her dead newborn around for days, reluctant to let go. It was suggested that the animal might have been poisoned by its mother’s polluted milk. Mr Gove said he was ‘haunted’ by the documentary. In recent months, a string of restaurant, pub and bar chains have announced they will phase out plastic straws. Recycling rates for plastic have risen by 20 per cent, Government figures reveal. However, overall recycling in the UK has shown little improvement, edging up to 44 .6 per cent for 2016 from 44 .3 per cent a year earlier. The slight rise is still lower than the 44.9 per cent achieved in 2014. Green groups welcomed the increase in the amount of plastic packaging being recycled – from from 842,000 tonnes in 2014 to around 1.02million tonnes in 2016 – but pointed out that more than half of all recyclable waste, 54.5 per cent, still ends up in landfill or gets incinerated. A staggering 15million tonnes of waste was sent to landfill or incinerated that could have been recycled – a huge waste of resources, campaigners said. The amount of recyclable waste not being recycled is also growing – up 226,000 tonnes in 2016 from the previous year. This is due to an increase in the volume of waste being created. Chris Tuckett, of the Marine Conservation Society, said: ‘The increase in plastic packaging recycling is positive, but there’s still a long way to go. We are choking our oceans with our plastic, killing marine wildlife and affecting our own health. 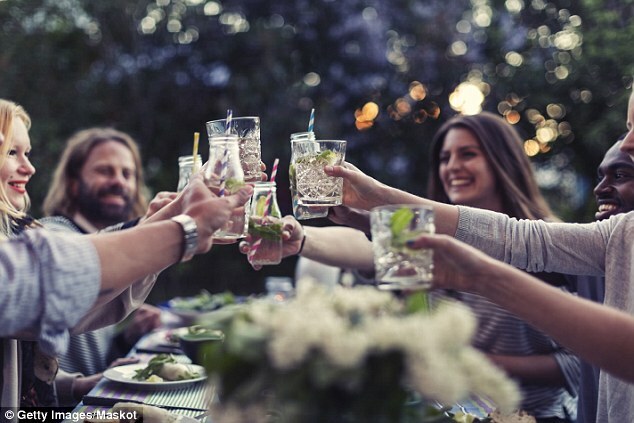 Pizza Express, which estimates it has been handing out some 1.8million a year in London alone, said it would stop using them – as did the Wagamama chain, JD Wetherspoon pubs, Costa and the global drinks giant Diageo. The Queen is also phasing out the use of plastic straws at Buckingham Palace. Last month Mr Gove said most plastic straws do not get recycled and ‘end up in landfill or clogging up our rivers and oceans’. Last night campaigners praised the Government’s move. Tony Juniper, director of campaigns at the World Wide Fund for Nature, said: ‘Straws are literally sucking the life out of our oceans. ‘Stamping them out is another step towards ending the needless plastic choking our oceans and killing our precious marine wildlife. More needs to be done, but like the ban on plastic bags before it, this kind of action is needed to end plastic suffocating our lives and our seas.’ The decision follows the success of the Mail’s groundbreaking Banish The Bags campaign, which led to the introduction of a 5p charge on single-use carrier bags. Since it came into force, nine billion fewer have been used – a fall of 83 per cent. The charge is now set to be extended to small retailers and newsagents. This newspaper also campaigned for, and won, a ban on microbeads – tiny pieces of plastic contained in cosmetics and toiletries. Manufacturing of products containing microbeads was banned from last month and their sale will be outlawed from June this year. The Mail has also called for a deposit return scheme for plastic bottles to encourage recycling. Mr Gove has commissioned a working group to examine the issue which is expected to report soon. Separately, Treasury officials are considering whether to add a small charge to disposable plates, cutlery and other one-use plastics. However, politicians came under fire yesterday as it was revealed the number of straws purchased by Parliament has doubled in the past three years. Figures show the total bought by officials in the Palace of Westminster rose from 6,000 in 2014 to 12,250 last year. SNP MP David Linden, who uncovered the figures, said the increase was ‘pretty alarming’ and that it was ‘now incumbent on MPs to take action on this issue’. A Commons spokesman said: ‘The House Service is currently reviewing the sustainability and environmental management of single-use disposable plastics in the House of Commons.